Nostalgic, classic, vintage and timeless yet again. So vivid, futuristic and warm but also gloomy and grey at the same time. Postwar suburban America was certainly a time of change – a time when the automobile was the spotlight of modern living. You could go anywhere in your Oldsmobile, Chrysler, Chevrolet or Cadillac. How about a trip to S.S. Kresge to pick up new sofa? Or what about that long overdue family road trip vacation to Disneyland with a handful of stop overs at roadside motels and diners along the way? It was certainly a time of innocence and white picket fence living. 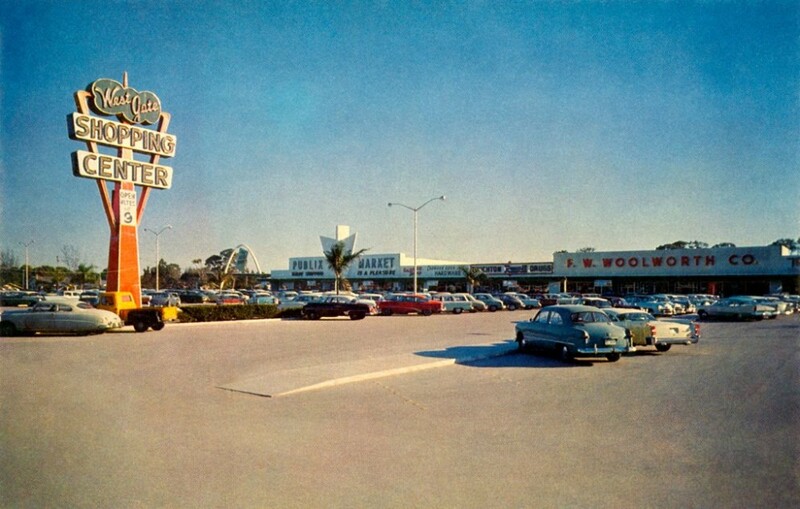 Which are your fondest roadside attractions and memories of this era?